To continue his impressive run in 2018 of an abundance of music videos and multiple projects, FG Famous is back yet again with another new project. 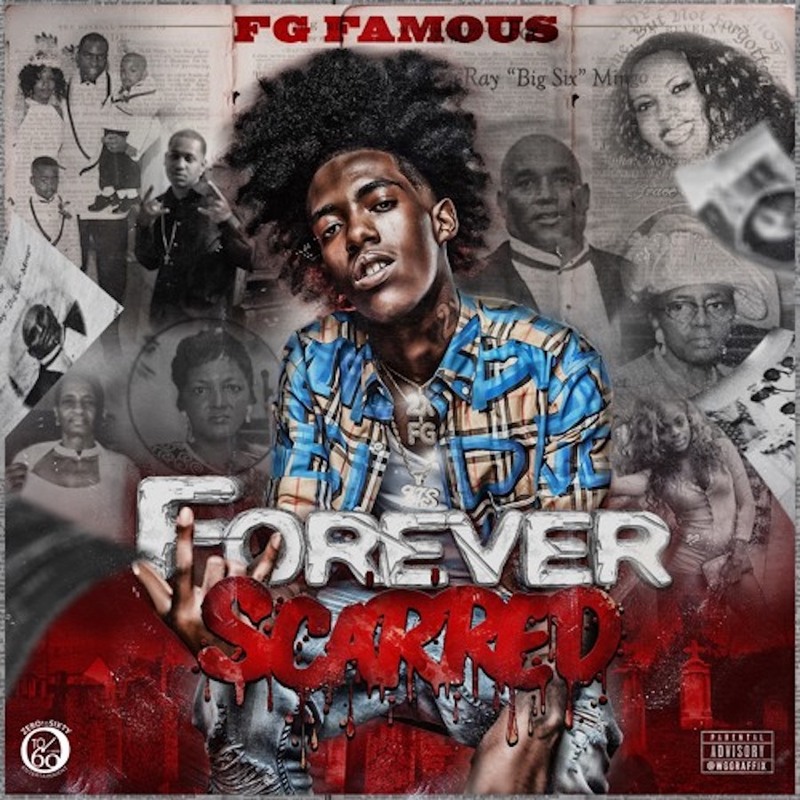 First it was Head Young'n In Charge, followed by Against All Odds, and now FG unveils his latest effort — a 10-track mixtape titled Forever Scarred. The young Louisiana native has built his quick rise thanks to a repertoire of gun talk, a love for grinding by any means to make money, and real-life experience growing up in Bogalusa. In an era when many artists are acting and playing a role in their music, FG Famous is able to provide a vivid look into street life in an unadulterated, authentic way. Just last month, FG dropped off a visual for "Slept On," which lives on the project, and today along with the release of Forever Scarred, he gives fans an accompanying music video for "Mind Gone."